Our parents actively participate and volunteer as coaches, team parents, and cheering fans. 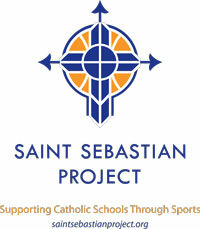 Sacred Heart School is a member of the CYO league. Our Boys’ teams usually finish in the top 3 in the CYO league. Over the past 15 years Sacred Heart girls Lancers have always gone to the CYO playoffs in all of the above sports. In 2006 the girls basketball team won the CYO Conference Title.